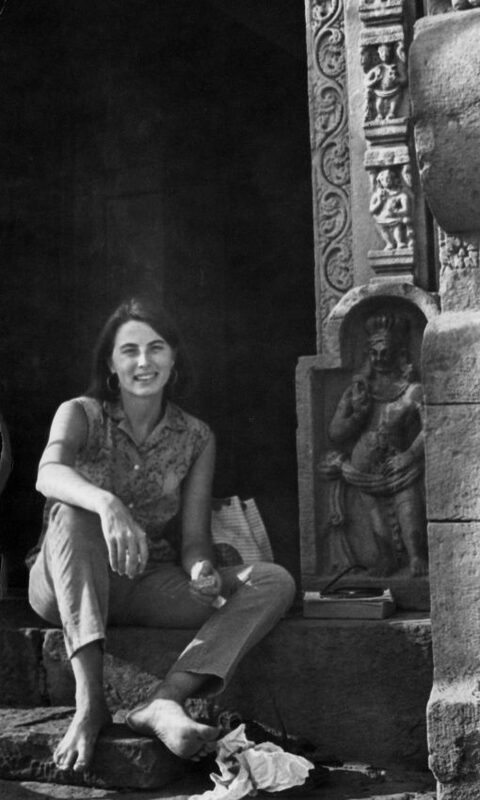 "One thing that I try to point out when I’m talking to an audience unfamiliar to historical ways of looking at things is that Hindu kings desecrated the temples built by their Hindu rivals, so this is not unique to Islam..."
Catherine B. Asher is a stalwart in the field of South Asian art history. 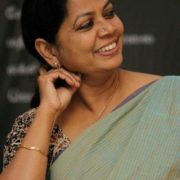 Her forte is art, architecture and courtly cultures of early modern India, more specifically, of the Mughal period. Her seminal book Architecture of Mughal India, published as part of the “The New Cambridge History of India” series, is a rich, textured work. Professor Asher’s study marks an important departure because she shifts the gaze from the imperial capital cities to the provinces. The realm of ‘sub-imperial’ patronage and court cultures open up a world of ideological programmes, political practices, and aesthetics, hitherto overshadowed by the domineering literature on the imperium at the centre. 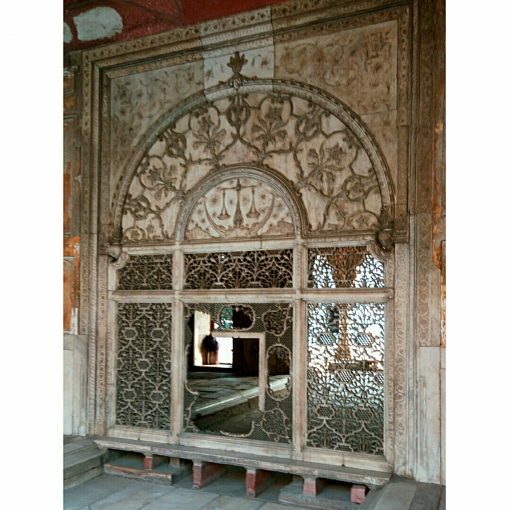 Her essay “Sub-Imperial Palaces: Power and Authority in Mughal India”, focuses on Mun’im Khan Khan-i-Khanan’s architectural patronage in Jaunpur and Chunar, and Raja Man Singh’s fort of Rohtasgarh. She shows the “rapid spread of technology and imperial taste” in the easternmost hinterlands, early in Akbar’s reign — a provincial articulation of Mughal rule. Asher’s reading of structures devoid of the conventional iconography of power (which are, quite often, manifestations of “technology as the voice of authority”) is particularly interesting. Her “mapping of Hindu-Muslim identities” in pre-modern cities like Amber, Shahjahanabad, and Jaipur alludes to a complex pattern of architectural landscaping in terms of religious identities. These are determined not merely by the patronage of the ruler and the economic status of the believer community, but also by the recalibration of religious values and ritual practices to suit new urban contexts. 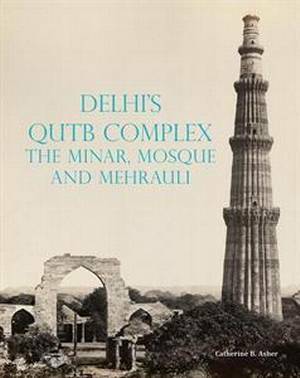 Asher’s new book, Delhi’s Qutb Complex: The Minar, Mosque and Mehrauli, traces the cultural history of Mehrauli over time, using a variety of sources. Here, she chronicles the after-life of monuments. Interestingly, she has also written on what could be called ‘cultures of seeing’. Her work on popular representations of the Taj Mahal as a metaphor for romantic love is fascinating, and becomes particularly relevant in these times of manufactured hate and state-sponsored communalism . In the following conversation with Professor Asher, we discuss her new book and the life of monuments in the age of right-wing totalitarianism, amongst other themes. What remains untranscribed, however, is Professor Asher’s passion for her work. Somok Roy (SR): Professor Asher, let’s begin with what has been happening in India in the last few years. You know about the rise of the Hindu Right, and its use of monuments to polarise identities. In one of your essays, you write about the Taj Mahal as a site drawing from the religious imagery of Jannat or the paradise in Islamic thought. 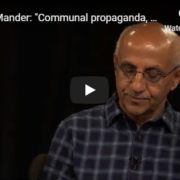 It is markedly different from what is being projected by the communal forces in India. How do you see the changing interpretation of the Taj in independent India? Catherine Asher (CA): I’ll start earlier. I think even in the seventeenth century it was clear to westerners that the Taj was an object of beauty. We have a Frenchman, Francois Bernier, who was embarrassed to say how beautiful Taj was and was hugely relieved when his colleague agreed with him that there was nothing as fine in Europe. So, I think from that moment on, you get this sort of tension between its extraordinary beauty and this notion that it is superior to many buildings in the West. I might add that in the seventeenth century the Taj was not a very important structure. It was important to the Mughals as a dynastic site. It’s the end of a tradition and not the beginning of one, and it wasn’t super accessible to the people because they could see it, but going into it wasn’t allowed for most. 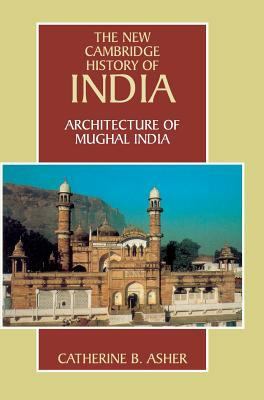 But by the late nineteenth century, Fergusson, who, as you know, was the first person to write the history of Indo-Islamic architecture, spent a lot of time quibbling over whether the Parthenon is a better building than the Taj. Well, once again, we see the East-West obsession. 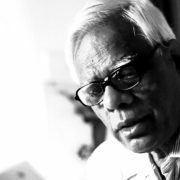 He argued that the Taj has more to do with design, ornamentation, and the Parthenon of course is a great intellectual thing. But I think that it sets the stage for people like E.B. Havell, who seem on surface like fairly open minded people. But if you start reading his writings you suddenly realize that he thinks that the only true India is ancient India. And therefore, because the Taj is so beautiful it has to be a part of that ancient Indian tradition. So he starts ignoring anything like the Humayun’s tomb, which could have been an influence, and argues that stupas like Borobudur, which the Mughals have not seen, are the basis of the Taj. This sounds very intellectual, but these ideas filter down in a broad way to finally reach people like P.N. Oak. It is at this point that the whole idea that the Taj has to be a Hindu temple, which is based on a misreading of the Mughal documents, comes up. You have to be very knowledgeable to really understand how flawed the arguments of Oak, and his American followers like Stephen Knapp, are. Right now, things have gone to the extreme, and the idea is to see Taj as foreign, and not Indian. The Hindu Right cannot ignore it; it’s like an elephant in the room. CA: Yes, it was a social space. I remember people used to picnic there — you are too young to remember though — and play cards, and this shouldn’t be seen as a corruption of a sacred Islamic space. Dargah Quli Khan’s writing describes the Thursdays in Dargahs and the kinds of entertainment that people looked forward to in these places. A visit to Kotla Firuz Shah on a Thursday reminded me of Dargah Quli Khan. After offering rose petals and agarbattis to the Jinns, people lunch together, play cards and buy ice creams. Now because the Taj is so popular, rules have been imposed. Tim Edensor, an anthropologist, wrote a well known book called Tourists at the Taj, based on interviews conducted with both tourists and local Muslims. The residents reminisced that it used to be a lot of fun earlier, and now they can just sit and look. The locals wanted to use the mosque in the complex for namaz and the ASI was dead against it. Now they can use it for the Friday prayer, but not access the gardens to socialise. Probably without realising, the ASI is breaking cultural traditions. SR: Something that I have been confused about is the implication of a living mosque or a living temple on the historical structure. As you said, the continuity of traditions is part of the site’s intangible cultural heritage. But, at the same time, the structures become vulnerable to human action. For instance, places of worship in Mehrauli, which date back to the early modern period, are still in use by the locals. How do historians and archaeologists see this problem? CA: Well, I think Mehrauli is more complex than the way you put it. Mehrauli became a site for refugees after the Partition of 1947, so a lot of the former mosques are houses now, and families have been living there for a long time. Some of the monuments are theoretically under the protection of ASI. Those ones, by and large, are not large mosques. People might offer a prayer in them but I don’t think they have Friday congregations. I don’t think the ASI is very keen on making people move at this point, after 70 years. The Dargah of Bakhtiyar Kaki is a living shrine and integral to the social life of the local community. One of the problems of course is nature on monuments. Because of heavy monsoons in India, if you get something like a seed of a tree inside the crack of a building, it makes the entire building vulnerable. Many a times you come across a heap of bricks and realise that it was a mosque — not because anyone destroyed it willfully, but because nature took its course. So whether it is use or neglect, the scenario is layered. SR: Again, this is something related to people and historic precincts, and is perhaps subjective. But I wonder how people in a post-colonial context, engage with pre-modern monuments in the city, which are dislocated in historical time. 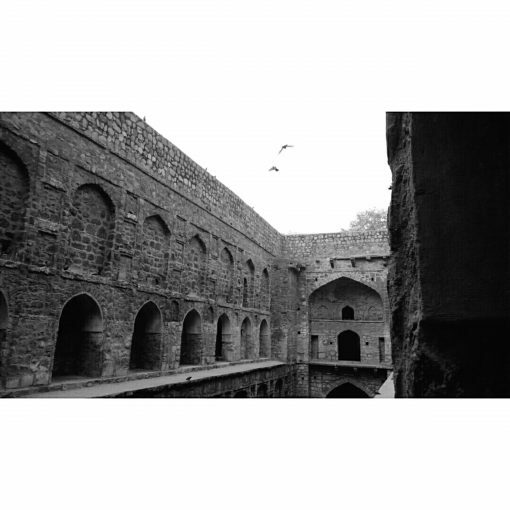 For instance, if you go to the Agrasen ki Baoli, all you see around are high rises that decontextualise, and perhaps recontextualise, the pre-Sultanate step-well. The boards installed by the ASI provide scanty and inaccurate information. How do people relate to historical structures in such contexts? 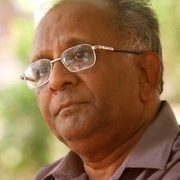 CA: So, in the last two months that I was here, I have given a couple of lectures in Delhi and Aligarh, and one of the things that I realised after the lectures is that it is very difficult to get students to think about the impact of a structure in the early modern world, which didn’t have a vast number of permanently constructed structures. One needs to think about the larger landscape of which the structure was a part of, and its purpose. For instance, a baoli, as a water reservoir, was a public work. One needs to think where a public work would be located. So it’s an exercise in asking logical questions. As far as I can remember, the Agrasen ki baoli doesn’t have an inscription, so we don’t know if it was built by a temple. But its size and extent allude to its importance for public use. It’s a manner of being trained to think about visual cultures. It’s sad that not many universities in India have departments of visual cultures. 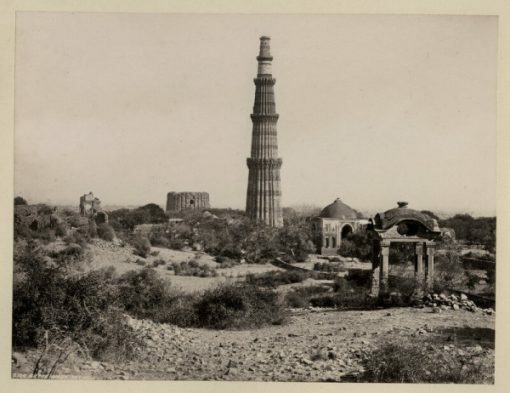 When I came here in the late 60s and lived here in the 80s, we could see the Qutb Minar from real distance. One needs to think what the presence of such a structure meant in the pre-modern landscape. CA: Well, more than imagination, as Irfan Habib would say, by thinking “scientifically”, or maybe systematically. SR: Moving on to a contentious topic, I would like to think about temple desecrations in the early modern period, and their contemporary narratives. The Hindu Right invokes this past every other day to fume communal hatred. In university departments, you can discuss the politics behind the act of desecration, how the destruction of a site of political legitimacy facilitated conquest and the subsequent establishment of a new order in the pre-modern world, or how the use of spolia was motivated by material needs. Such discussions tend to use a vocabulary known to the social sciences and liberal arts academia. But how do we disseminate the history of temple desecration, or let’s say strike a historically informed conversation in the public domain? CA: That is a great question, to which I wish I had an answer! I think the public has made up its mind, and it’s very difficult to get through people. One thing that I try to point out when I’m talking to an audience unfamiliar to historical ways of looking at things is that Hindu kings desecrated the temples built by their Hindu rivals, so this is not unique to Islam — not a new game in town! Try to get across that not every temple was desecrated, and I’m actually working on this now. I don’t know how to counter people who read (Sita Ram) Goel’s books. 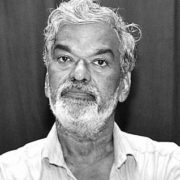 I was in Goa with my family, and my daughter somehow told the local family that I was a historian, so this gentleman came over, and he asked me if I knew that there was a story going around that the Taj was really a Hindu temple. I talked to him very calmly, without getting agitated, and he really listened. He didn’t scream or yell! Even though I’m not an Indian, it’s difficult for me to keep calm when such ahistorical claims are made. But I try to keep myself calm and collected, because you cannot be logical once you lose your temper. I’m not saying that this is the best way to counter what is being spread in the name of history, but I don’t know of better ways. There will come a time when people will get so sick of the communal tensions that they will look for something new. It’s pretty exhausting. SR: Let’s hope for that! Recent scholarship has produced some fascinating research on the history of emotions. Could architecture be a source for the history of emotions, and if yes, how does one ‘read’ architecture in terms of human experiences? CA: Oh yes. I got caught up as a part of a conference held in Germany, and it was a conference on the emotions in the monsoons. I took Babur’s and Jahangir’s writings on the seasons from various sources, and Jahangir’s pavilion in Agra, possibly originally established by Babur and later rebuilt by Jahangir. I looked at things he wrote in general, but occasionally on the garden pavilion during the monsoons, and looked at some paintings of the pavilion, and carefully figured out plants that would have flourished during the rains in seventeenth century India, what kind of smells they had, so on and so forth. The idea is to not restrict one’s self to a particular kind of source. In the second part of the project, I travelled to Deeg [a water palace near Bharatpur], to study the pavilion which was supposed to emulate the monsoons. There’s less literature, and you have to increasingly look for a variety of sources. For example, I refuse to teach courses just on architecture, and solely on Mughal architecture. You have to put things together. One needs to study Rajput material to understand Mughal culture, and also take into account the material culture of the Safavids and the Ottomans. Focusing on one medium is limiting, for instance the baoli surrounded by twentieth century buildings that we were talking about needs to be seen in its larger milieu to understand its significance. 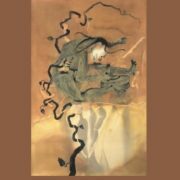 Coming back to your question, I knew in Germany, there was a lot of obsession with emotions and smells, but I didn’t know that similar work was going on in India — a very interesting publication on Akbar by Cynthia Talbot, for example, focuses on the conquest of Bundi and the experience of anger. CA: A former student of mine has worked on smells and sounds in Ottoman mosques, and I think she could probably do it because the Ottomans have so many records and chronicles. She could find out how many types of incense they were burning and how much money they spent for it because there’s detailed documentation of such practices in the form of manuscripts and other material. 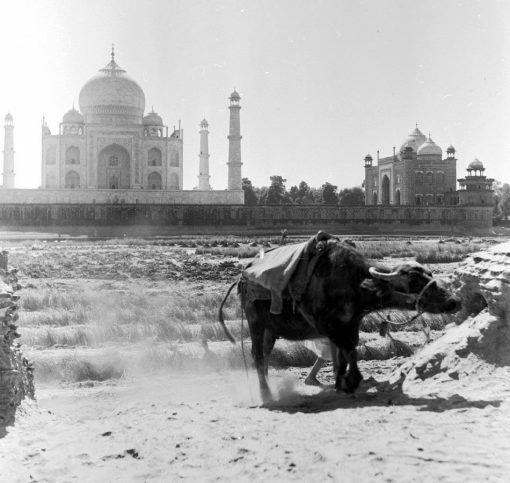 SR: We started the conversation with a discussion on the changing interpretation of the Taj. I was wondering how did the Mughals see the Sultanate monuments, and what did their presence in the vicinity of the capital cities mean to them. CA: We know that Babur entered Delhi and did a legitimising tour of the important monuments. As Ebba Koch pointed out, he visited the places that his ancestor Timur had visited, but he also visited the Sufi shrines of the Chishtiya silsila which Timur had not done. So, clearly he was aware of the role played by Sufis in the politics of Delhi. He paid homage at the tomb of Bahlul Lodhi, which is the Sheesh gumbad in the Lodhi gardens. Shahjahan goes on to build a hunting tower and pavilion that looks like the Qutb Minar. 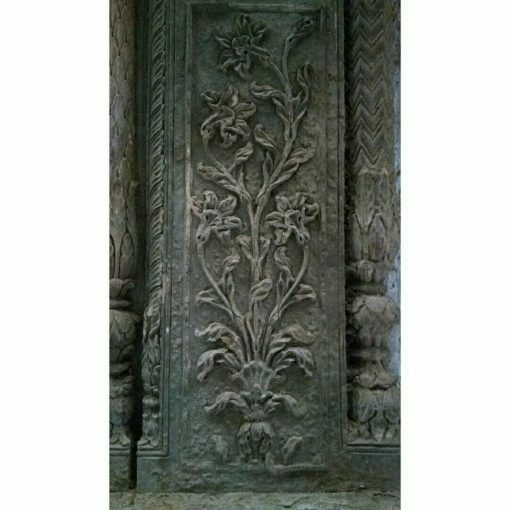 There are many flanges on Mughal buildings which sort of emulate the flanges of Qutb. Ebba Koch in her article called “Copies of the Qutb Minar” has given a list of examples. We know, for example, Aurangzeb repaired old mosques. Now if this includes the old Mughal ones, or even the ones predating the Mughal state, has to be seen. Since he was in the Deccan, it’s most likely that he repaired the Bijapur mosques built prior to the Mughal conquest. Jahangir added to the existing architecture of Mandu, which was the capital of the Malwa sultanate. 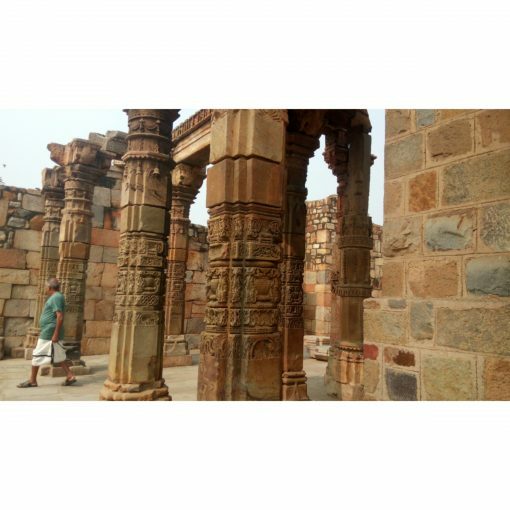 SR: Your new book, Delhi’s Qutb Complex: The Minar, Mosque and Mehrauli, evidently has an elaborate title, focusing on two structures and a locality. Why did you choose to focus on these three in the title? CA: Well, I wanted to write something about an area that didn’t end with the early fourteenth century. I wanted to show that Mehrauli continued to be a very important place even when it changed, up to the present. It’s an interesting way to think about the multiple layers of history. There are a couple of things that I found interesting. For example, I had initially assumed that all sufis in Mehrauli belong to the Chishtiya order, but that is not true, there are other sects also. Mehrauli became a major Afghan area starting in the early sixteenth and the seventeenth centuries. There may be more surviving buildings scattered down there, than we know now. Bakhtiyar Kaki’s Dargah, as you know, became an important site for seeking legitimacy and asking for spiritual favours. Sikandar Lodhi, while repairing the Qutb, I’m very sure, put the topmost layer. Gandhi’s visit to the Dargah of Bakhtiyar Kaki in 1948, to put a halt to the communal violence in the aftermath of the Partition was historic. Mehrauli is a living settlement, and the people living in the vicinity of the historic structures are part of the history and memory of the area. I like to look at things over a period of time, taking broad chronological spans.